Penn State's 27-26 loss to Ohio State didn't result in a drop too far down the polls as the Nittany Lions came in at No. 11 in the AP Poll on Sunday afternoon falling two spots from No. 9 in last week's rankings. 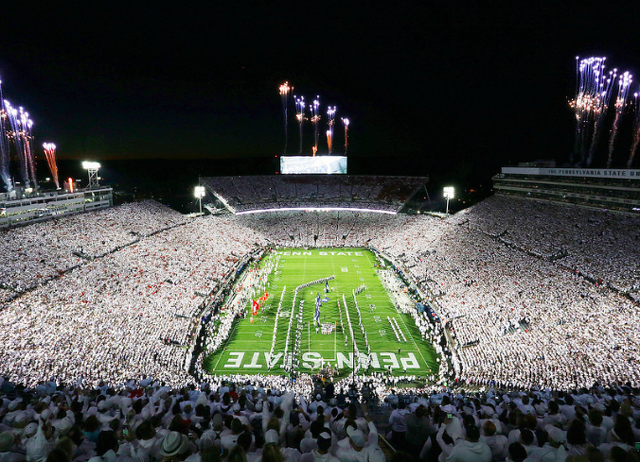 Penn State sits at the same spot in the Coaches Poll. Ohio State moved up on spot in the rankings to the No.3 spot, while across the Big Ten both Michigan and Wisconsin held relatively steady with the Wolverines dropping a spot to No. 15 while Wisconsin dropped to the 16th spot in the polls. Michigan State is the only other Big Ten team to come in the Top 25 sitting at the No.19 spot. Maryland is a team receiving votes with 10 points outside of the Top 25. Outside of the conference a second straight loss for Joe Moorhead and Mississippi State resulted in the Bulldogs dropping from the rankings. 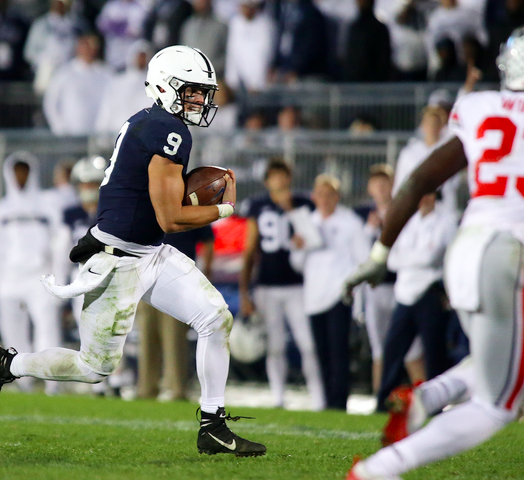 Penn State Football: McSorley Had 1,341 Runs & Passes; Why Not One More? Trace McSorley is Aaron Rodgers and Tom Brady. Against Ohio State, Penn State’s offense ran off 76 plays — 57 with the ball in McSorley’s hands (run or pass).